Outline announced the launch of its latest concept, the Superfly compact line-source enclosure, to be featured at Prolight+Sound in Frankfurt. Leading European designers and manufacturers of professional loudspeaker systems Outline are proud to announce the launch of their latest concept at prolight+sound 2018. Following an evolutionary path from their groundbreaking and hugely influential Butterfly design, the new ‘Superfly’ compact line-source enclosure sets new standards in performance for a loudspeaker of these dimensions. Weighing under 38kg (83.8 lb) per module yet with prodigious acoustic potential and class-leading dispersion control, Superfly integrates perfectly within the existing Outline portfolio and can be readily paired with any of their subwoofer designs. 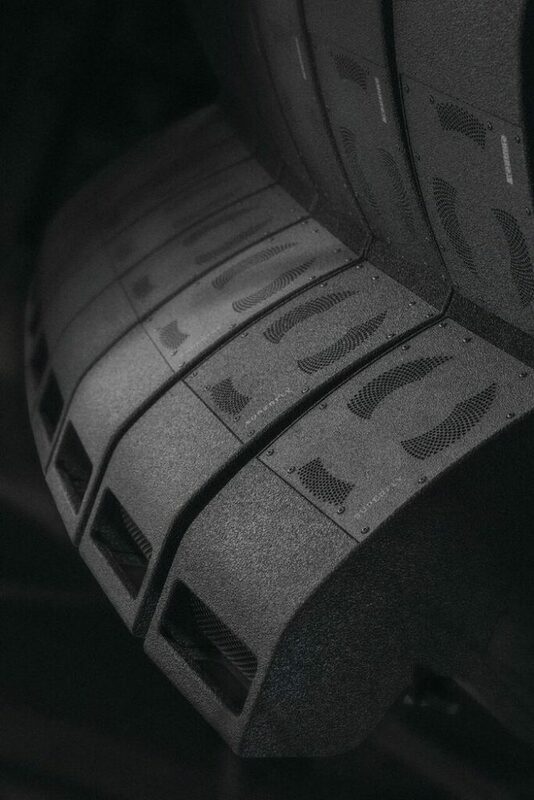 Superfly also redefines the low-frequency performance expectations of compact line-array loudspeakers. The LF extension from the individually-driven dual 10” drivers is extraordinary (below 50Hz) and for many applications Superfly’s ultra-wide bandwidth and clarity makes it the ideal solution without the need for additional subwoofers. However, when used with any Outline subwoofers its full acoustic potential is realised. Powered by the company’s own DSP-equipped X8 amplifiers, Superfly-based systems are flexible, powerful, predictable, quick and easy to deploy and convenient to transport, contributing vital operational efficiencies to any live sound scenario (learn more at http://superfly.outline.it). Visitors to the show will be able to hear Superfly for themselves in the pl+s ‘Live Sound Arena’ located in the outdoor area F1 at Hall 1. Real-world demos are scheduled for 11:20, 13:20 and 15:20 every day. Outline will also be devoting considerable booth space to their extraordinary new ‘Newton’ processor (patent pending). An FPGA-based processing platform designed as the management and control core for audio networks in touring, broadcast and fixed installation applications, it also provides management of sophisticated audio systems by combining multi-format channel routing with simultaneous standards conversion and digital signal synchronisation. A unique system topology is provided by very high-quality FPGA-based SSRC and ASRC (Synchronous / Asynchronous Sample Rate Conversion) with outstanding dynamic range and ultra-low distortion. The unit supports up to 15 clock source options and a virtually unlimited number of filters using Outline’s proprietary WFIR filtering technology (patent pending) supporting Raised Cosine Filtering Technology, plus independent, internal, dual-redundant universal AC mains supplies fitted as standard.